Step 1: Print page both pages of the downloadable template on 8.5 x 11 white cover stock or other presentation paper. Step 2: Using the bone folder, score the the center of the striped card, cut around the edges, and fold the card in half. 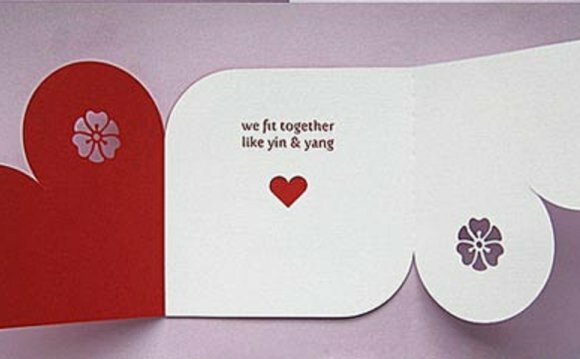 Using a 1” circle punch or scissors cut or punch out a half circle at the bottom of the card. Cut out the rest of the pieces from page 2 of the printable template. Step 3: Cut a 1.75” strip of plastic. Make sure it is long enough to wrap around the center track piece with a bit of overlap. Step 4: Using a glue stick or dispenser, adhere the plastic strip around the track. Make sure it’s a bit loose so it easily moves around the center piece without catching. Cut off any excess plastic. Step 5: Glue the flame (top piece) to the plastic track so that the printed side faces up. Make sure to glue this piece to the seam of the plastic track. The top of the flame should be flush to the top of the center piece. Step 6: Turn the center piece over and glue the bottom piece (faced down) onto the plastic flush with the bottom of the center track. Now test it out to see if it works! Step 7: Glue the moving unit into the card. Maker sure the glue is as close to the outer edge of the center piece as you can get it so the moving parts don’t get stuck. Step 8: Once the bottom is in place glue down the the top of the card down. Once again make you glue as close to the outer edges of the center track as you can get it. How to origami greeting shirt and tie card template ?